There was an official handshake with each teacher during the ceremony, but Westwood High School teacher John-David Bowman said it was still a little unreal until the teachers got a peek of the commander in chief outside the Oval Office beforehand. 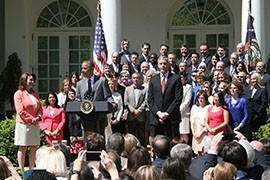 Bowman was one of 56 Teachers of the Year from U.S. states and territories who gathered in the White House’s Rose Garden on a cloudless Wednesday morning to be honored and to announce the national winner from among their ranks. Bowman said that the teachers honored Wednesday are not the only ones deserving of praise. Obama pointed out to a receptive crowd that praise is not all they need. “They deserve our support and our appreciation. And they also probably deserve higher salaries,” he said, garnering a collective laugh. Bowman said that moving forward after being honored he plans on celebrating other teachers as much as he can. 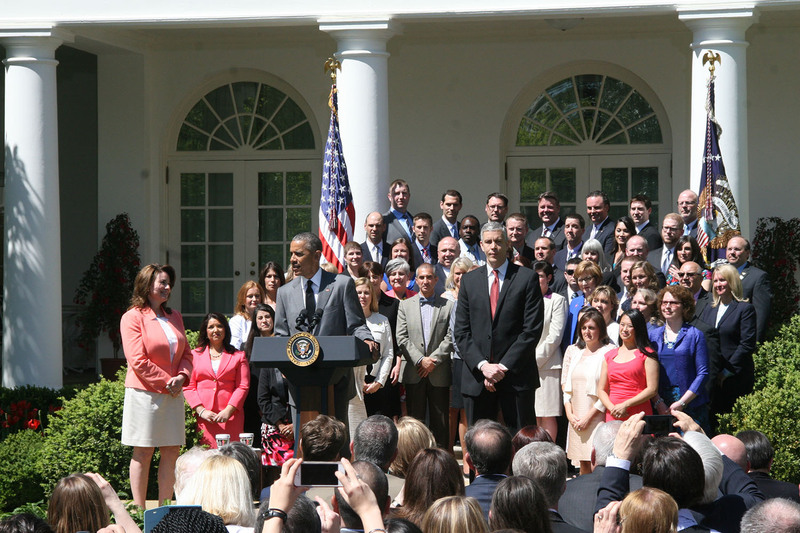 When describing the National Teacher of the Year, Shanna Peeples of Amarillo, Texas, Obama echoed the sentiment that good teachers don’t just help students, they help other teachers. Bowman said he thinks that more teachers should lift up others in the profession when they see they need help. 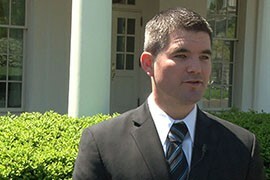 Arizona Teacher of the Year John-David Bowman was among teachers from around the country honored at the White House for their work. Bowman, who teaches history in Mesa, said he hopes raise the level of prestige for teachers across Arizona. 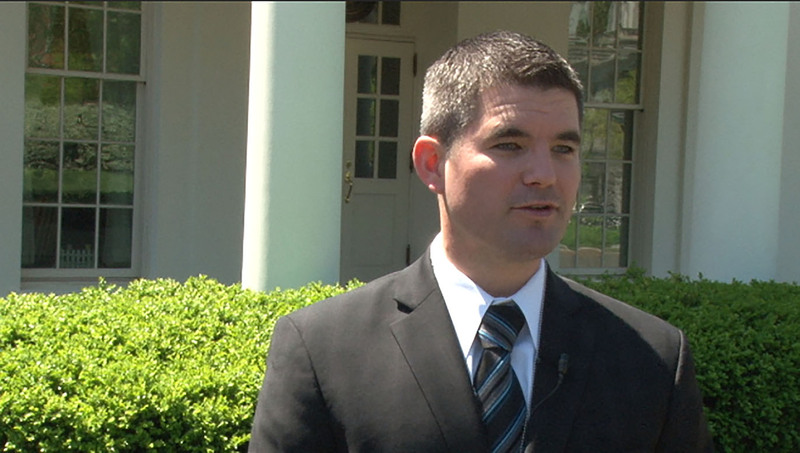 Arizona Teacher of the Year John-David Bowman at the White House for an event honoring teachers, said Arizona has "a secret - we have amazing teachers," deserving of praise. 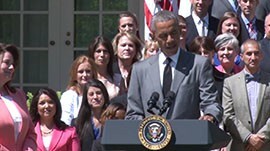 President Barack Obama, in a Rose Garden ceremony honoring the nation's top teachers, said they deserve "our support and our appreciation" - and, probably, better pay.